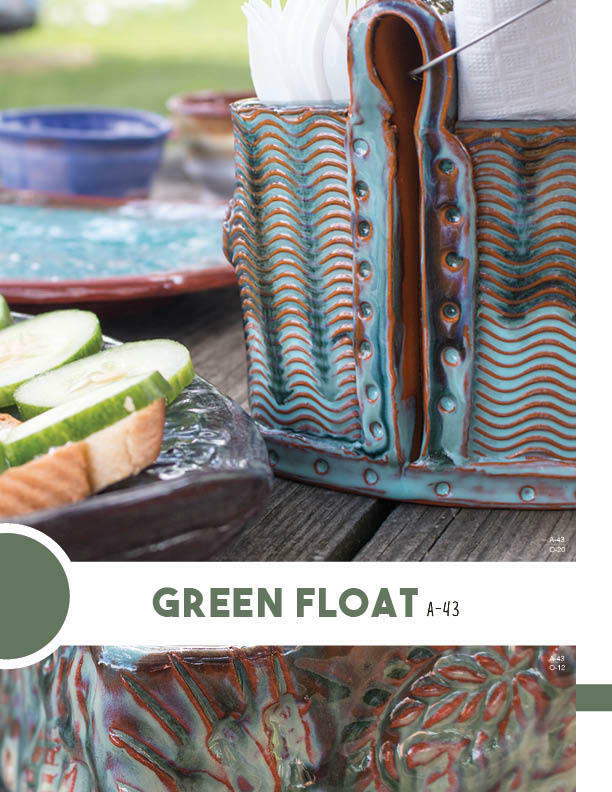 These special effect glazes imitate traditional Artist/Potter's favorites. 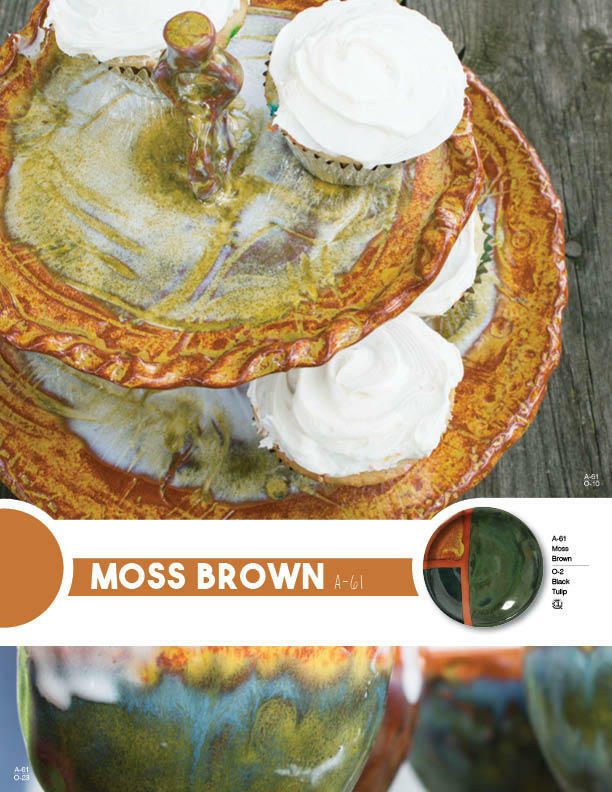 They are Cone 05 oxidation glazes that look like high fired reduction stoneware glazes. 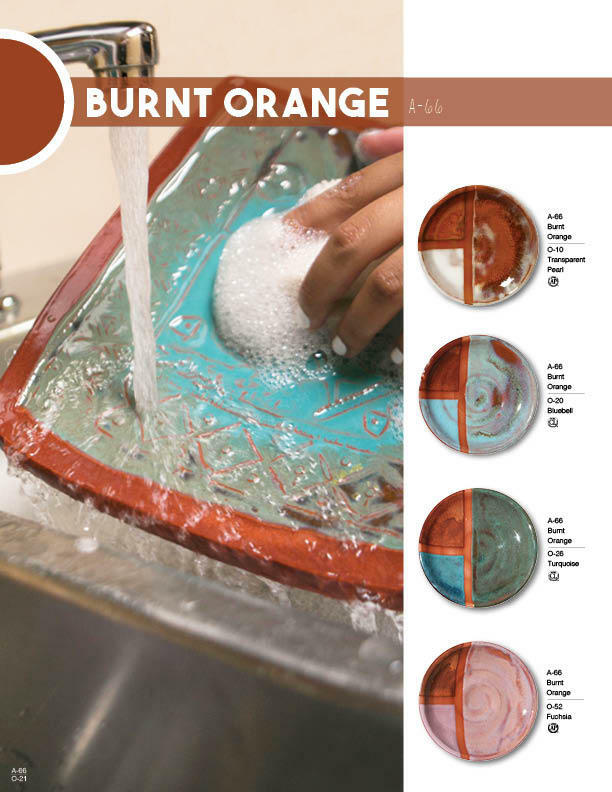 Effects like Temmoku, Rutile, Oil Spot, and other reduction surfaces are achieved without the cost or trouble of high fire reduction. 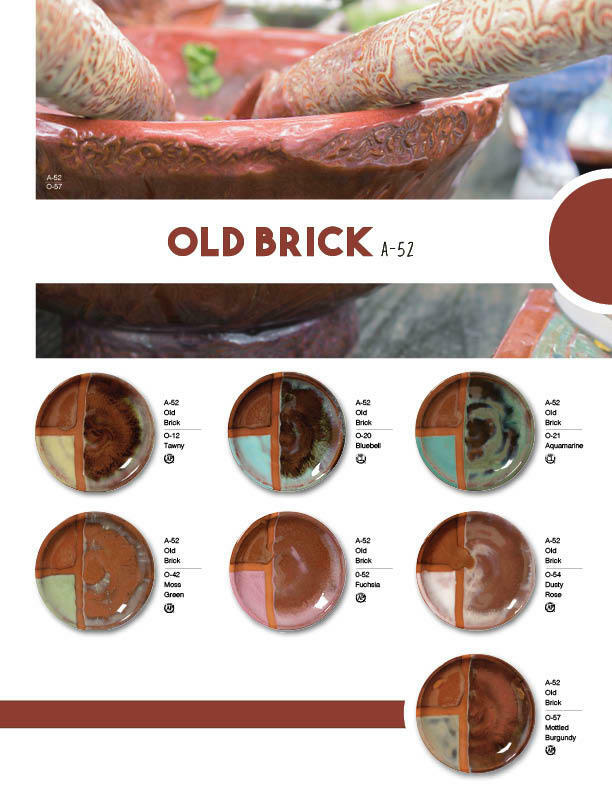 They can be fired over any AMACO® lowfire clay, however they look best over dark or red firing clay like AMACO's 67-M. 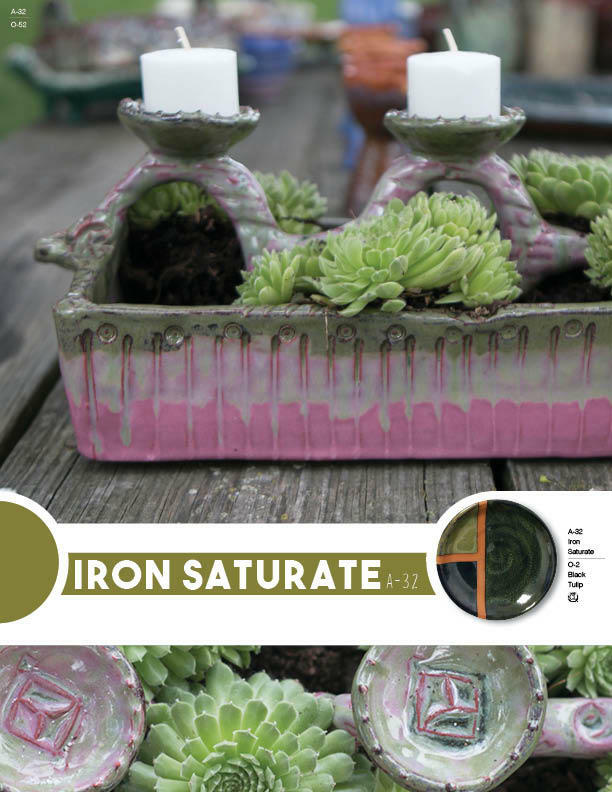 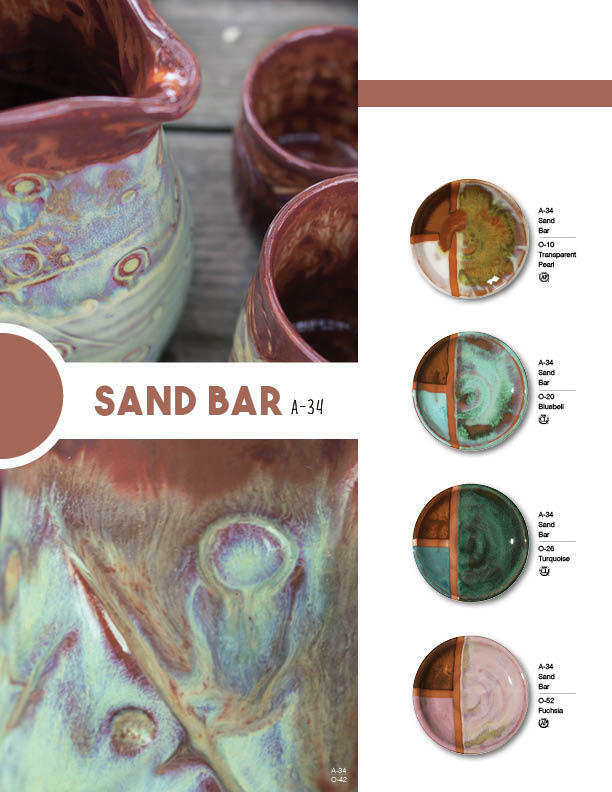 The color in the clay will partially show through where there is texture and adds dimension to the glaze. 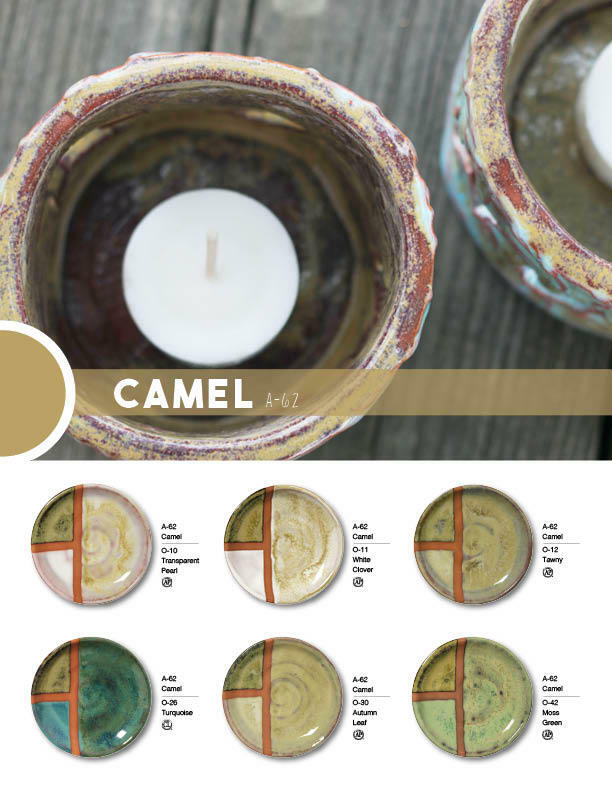 Because of this effect, these glazes will look completely different depending on the clay body on which they are applied. 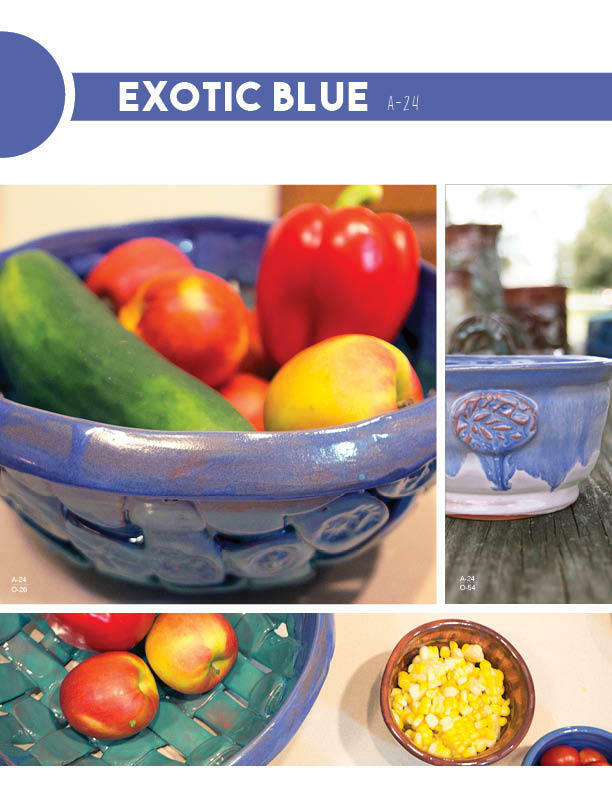 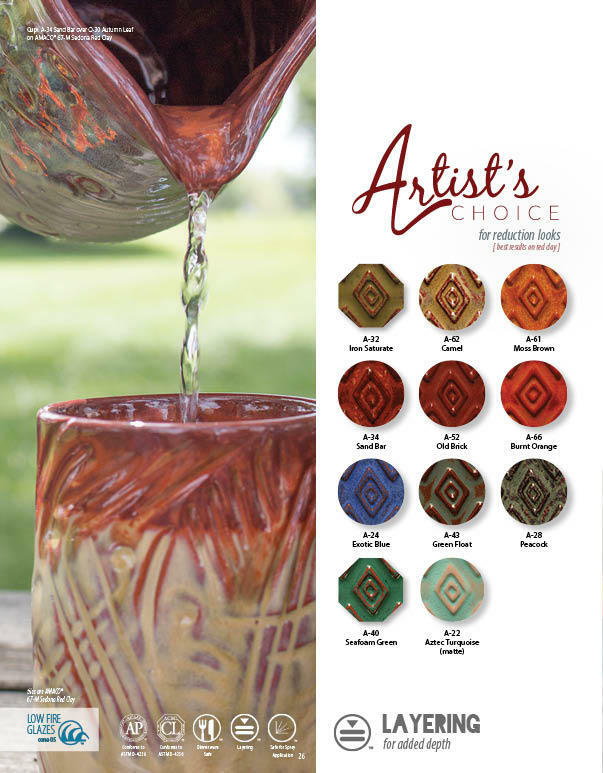 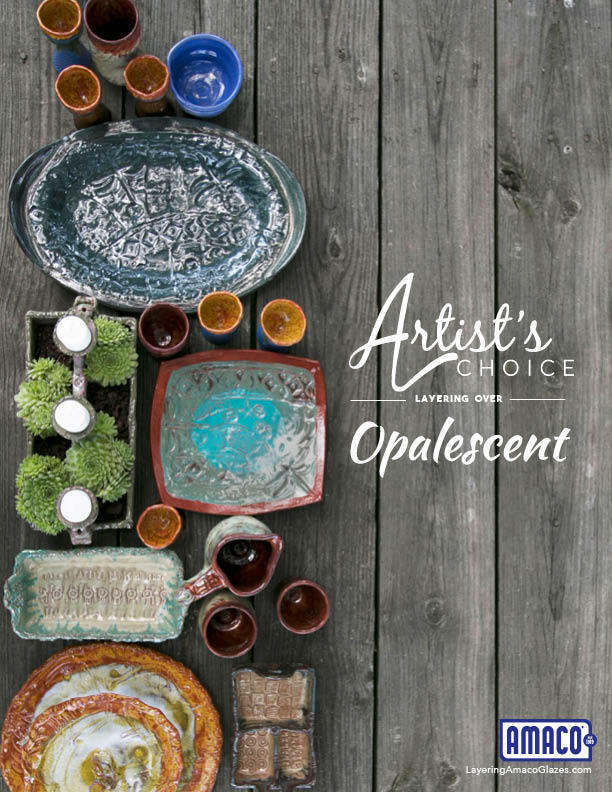 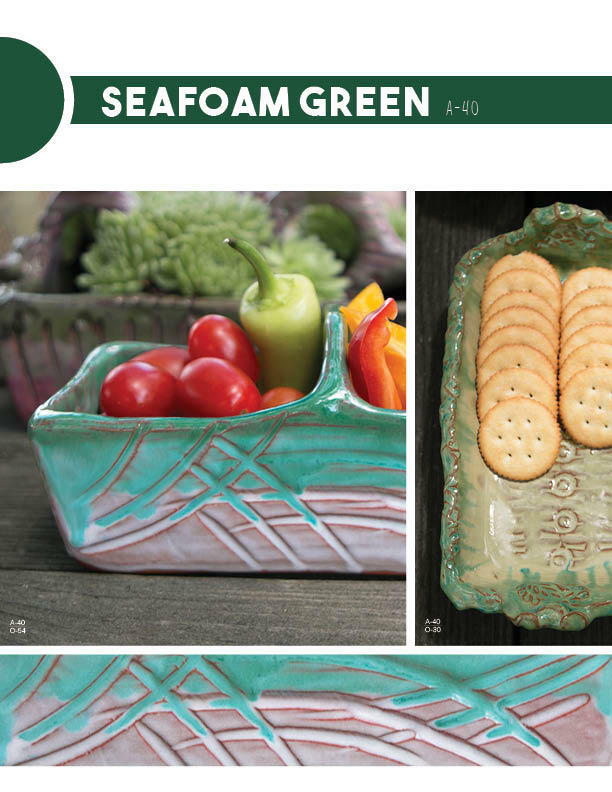 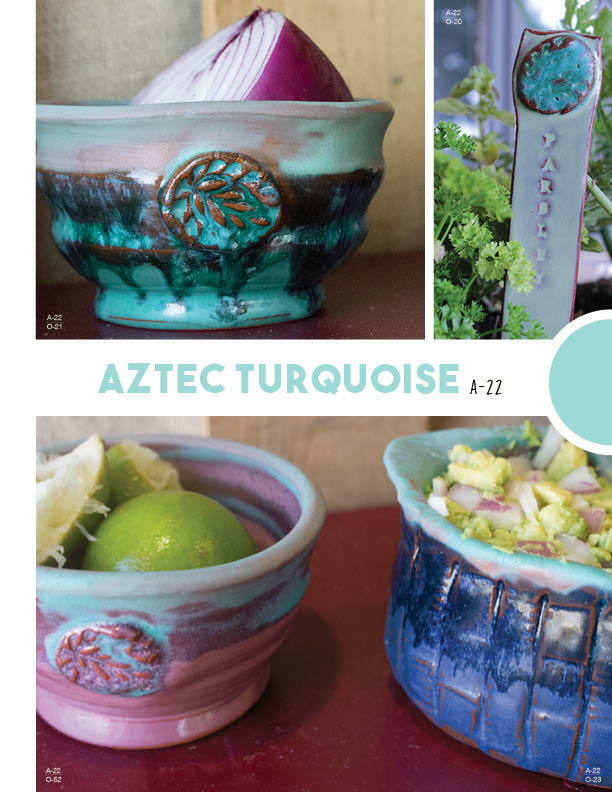 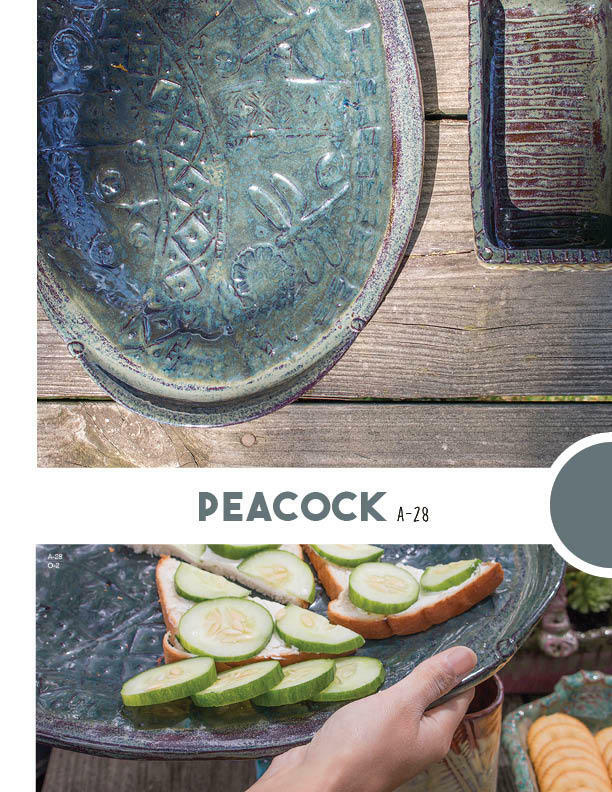 Here is a downloadable PDF of Artist's Choice page from the 2015 glaze brochure.